Spartan Racing at Formula SAE Lincoln, Nebraska (photo by Michael Favuzzi). 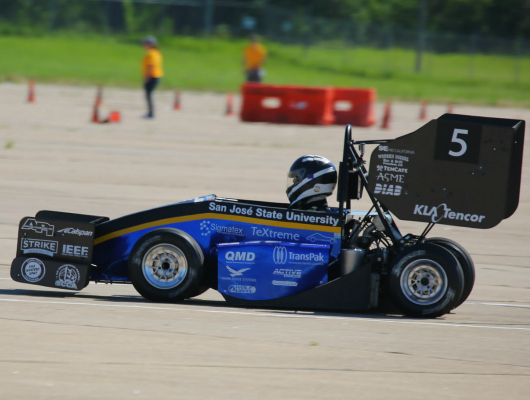 San Jose State’s Spartan Racing team took first place overall at the nation’s leading collegiate race car competition, held June 17-20 in Lincoln, Nebraska. 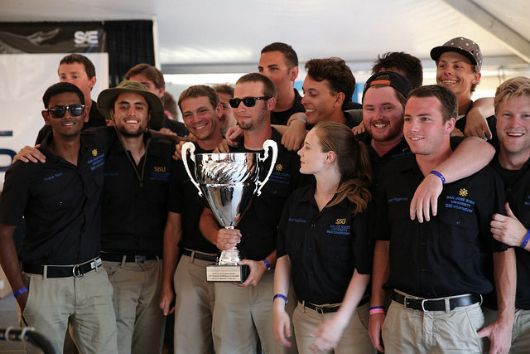 This is the first time in the contest’s 35-year history that a California crew topped the field. Ninety teams attended this year’s meeting. Spartan Racing develops its cars in a workshop at the Charles W. Davidson College of Engineering. The group is the student chapter of SAE (Society of Automotive Engineers) International. Spartan Racing’s vehicle (photo by Michael Favuzzi). 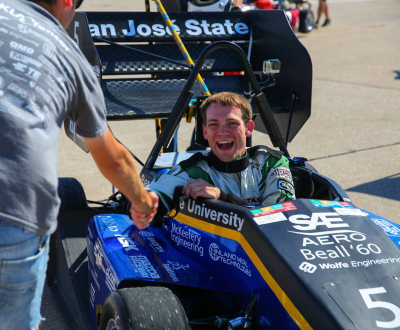 Formula SAE encourages students to design and build race cars based on regulations and standards like those used by professional teams. The experience is considered excellent job training for work in the automotive industry. What’s next for Spartan Racing? Europe! The group is making plans to attend the world’s most competitive meets, held in Austria and Germany.